AMALFI COAST, in southern Italy, is a favorite for visiting the cliffside village of Positano. It’s a well-known holiday destination with a pebble beachfront and steep, narrow streets lined with boutiques and cafes. Now, no longer a best kept secret, the Amalfi Coast is a ‘must enjoy’ destination. Don’t even think about just driving through – especially in high season – you will end up in a bumper to bumper gridlock and it’ll be impossible to park anywhere. Instead, stay a few days and let the local pace teach you how to stop and smell the flowers. Take the water taxis to one of the great seaside restaurants and savor the delicious food with a fabulous view. The Amalfi Coast is an Italian landscape dotted with small towns dramatically perched between the rugged mountains and the azure sea. Don’t miss the town of Amalfi, whose Duomo di Sant’Andrea has a marvelously painted façade, and a languorous boat cruise along the coast, from which you can see the scenic villages built into the steep rock face. Get lost on Italy’s sun-kissed Mediterranean coast. 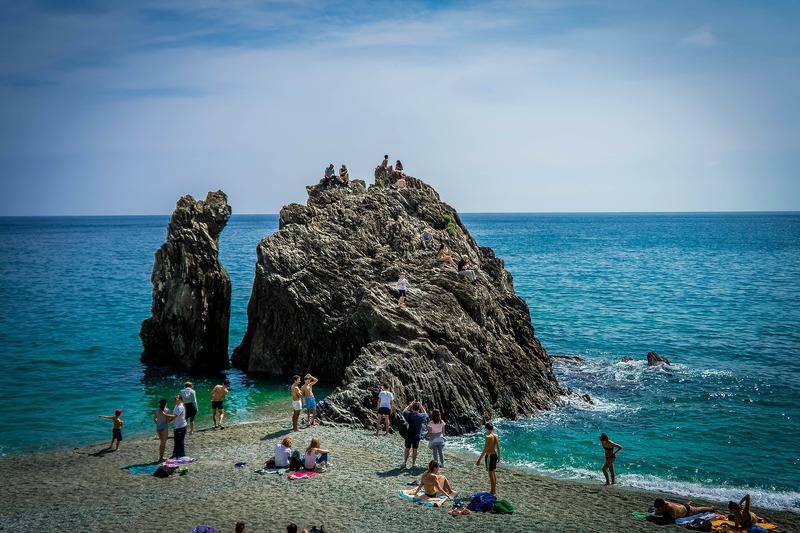 Enjoy a refreshing a swim in the Tyrrhenian Sea. The Amalfi Coast offers a sensual blend of both natural and cultural wonders. The breathtaking terrain includes dramatic coastline topography scattered with terraced vineyards, orchards, and pastures—often with enchanting views of the vibrant waters below.